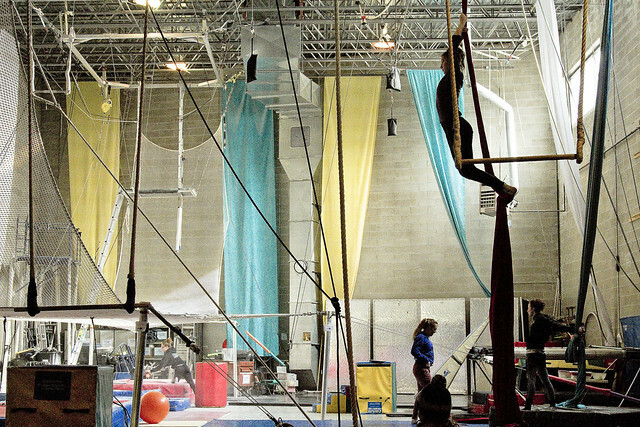 A quick look inside the Circus Warehouse in LIC. At the Newtown Creek side of LIC’s Vernon Blvd., you’ll find the Circus Warehouse. I’ve been desirous of doing a long post on them for a while, but this ain’t that. 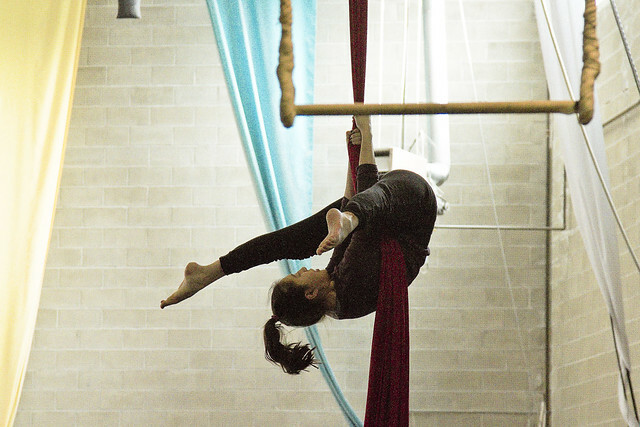 The organization instructs and trains for the athletic side of the circus world, teaching acrobatics and rope training. Occasion found me sheltering from the cold in there recently, for reasons which I’ll describe in a post next week. Suffice to say that for the 15 minutes or so that I was in the space, I cracked out a few shots of interesting people doing cool things – what more could the wandering photographer ask for? There’s a level of physical strength on display in the shot above which astounds. We’re I to attempt something like this, I’d experience a body wide cramp which would collapse into a singularity and a black hole would form. 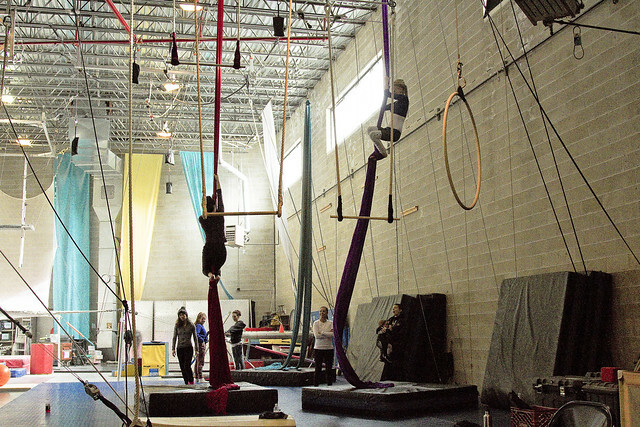 The Circus Warehouse offers all sorts of programs and classes, which the athletic and physically sound types amongst you might consider. They are based in a 1960’s era warehouse that sits on the former Pigeon Street Yard of the LIRR in LIC, at the Vernon Blvd. street end where the Vernon Avenue Bridge once stood.